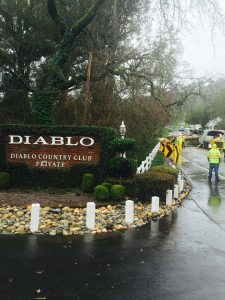 March 6, 2019, Martinez, CA – Contra Costa County Public Works is addressing road shoulder embankment failures due to previous years of winter storms. 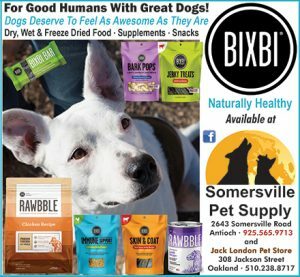 Some failures have occurred along Alhambra Valley Road, Bear Creek Road, Marsh Creek Road, Happy Valley Road, Carquinez Scenic Drive, among others. Temporary measures have been implemented to keep the motoring public safe while the roads remain open to traffic. In some cases, temporary concrete barriers have been placed, along with temporary stop signs, to reduce the road to a single lane at the location of the road failure. Public Works is actively designing a permanent fix to these road failures as well as securing funds to seek environmental clearances and construct the necessary fixes. In some cases, federal and state emergency funds are sought to recover from winter storms declared as disaster areas (as was declared in 2017). Public Works appreciates the public’s patience as these permanent repairs are planned for and constructed. In the meantime, we will continue to monitor the effectiveness of these temporary measures and asks the public to adhere to the temporary traffic control measures. 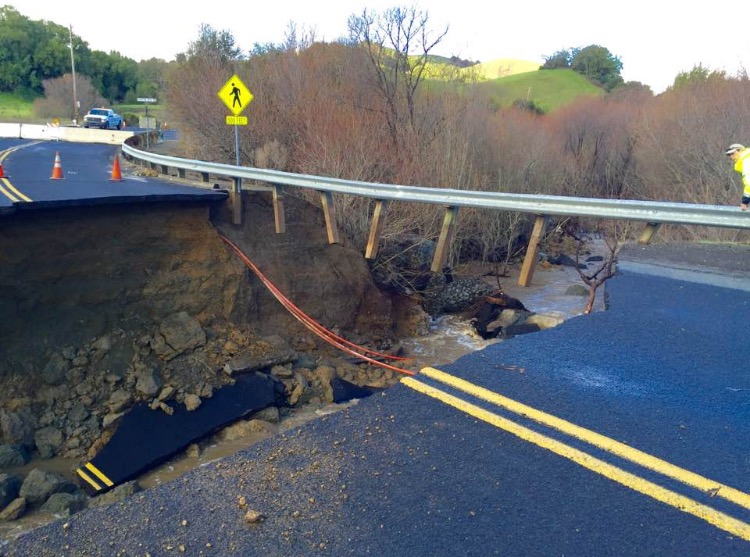 Contra Costa County Public Works Department (CCCPWD) maintains over 660 miles of roads, 150 miles of streams, channels and other drainage and over 200 County buildings throughout Contra Costa County. CCCPWD provides services such as Parks and Recreation, Sand Bag Distribution and Flood Control throughout unincorporated areas of Contra Costa County. CCCPWD operates two airports, Buchanan Air Field in Concord and Byron Air Field in Byron. 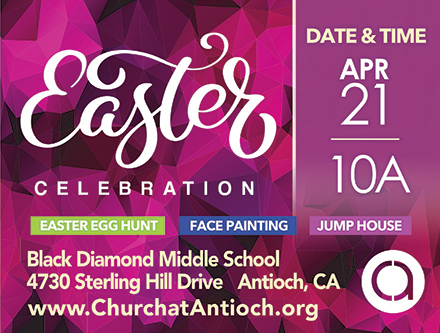 For more information about CCCPWD, please visit us here. After leaning on Los Vaqueros Reservoir for supply during the drought, the Contra Costa Water District (CCWD) is pleased to announce that the reservoir is now holding more water than it ever has for its customers. 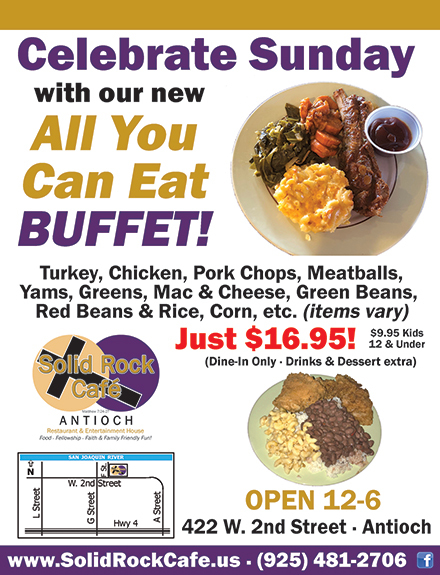 The reservoir is doing its job and the filling underway is good news for serving customers now and into the future. This week, the reservoir’s storage level rose above 133,000 acre-feet, surpassing the high reached in 2013. CCWD will continue to fill while conditions are favorable, depending on Delta water quality and energy costs. CCWD owns and operates Los Vaqueros Reservoir primarily to manage water quality for the 500,000 residents of central and eastern Contra Costa County. Water from the Delta is pumped into the reservoir when water quality is good and then is used to keep water quality delivered to its customers high when salinity levels rise in the Delta. The off-stream reservoir located near Brentwood was originally constructed in 1998 with the ability to store up to 100,000 acre-feet of water. An expansion of the reservoir was completed in 2012 increasing the capacity to 160,000 acre-feet. Stores of water in the off-stream reservoir reached a then high of 132,900 acre-feet in 2013 and was then drawn upon, as designed, to meet water supply demands during the past few years of drought. With strong and steady storms this winter supplying fresh water to the Delta, CCWD has turned on its pumps to move high quality water into Los Vaqueros for future use. 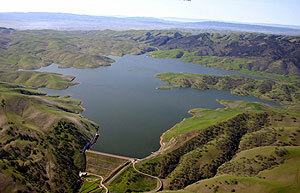 Learn more about CCWD and Los Vaqueros Reservoir at www.ccwater.com. McEwen Road is closed between Highway 4 and Carquinez Scenic Drive near Port Costa due to mudslides. The road is open to emergency vehicles only. 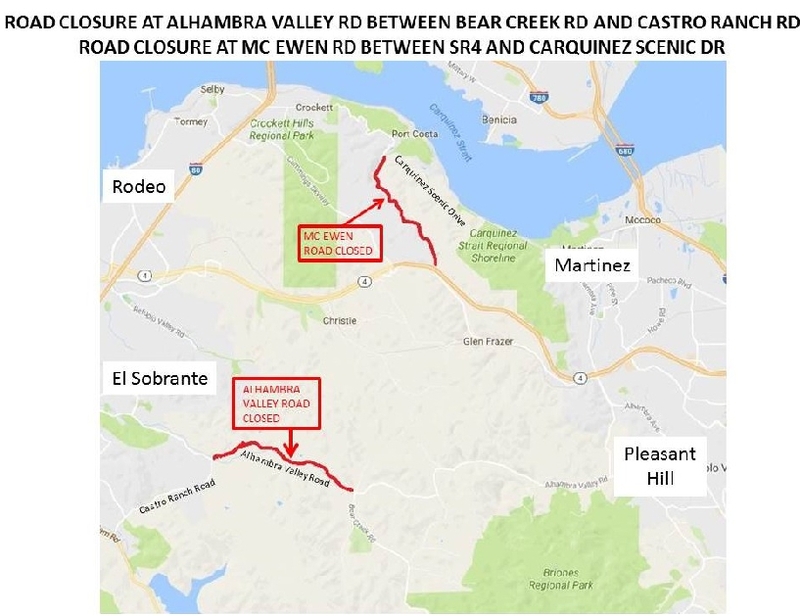 Alhambra Valley Road between Bear Creek Road and Castro Ranch Road is closed indefinitely.Signs and message boards will alert drivers of the closure. 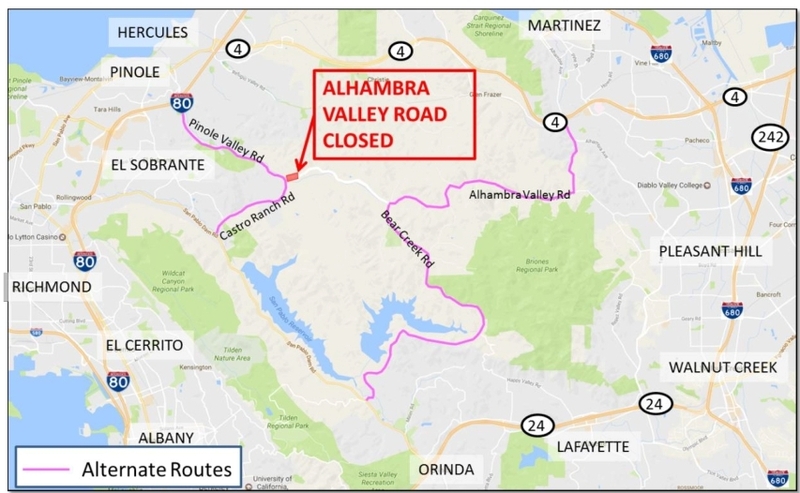 There is not an estimated timeframe for reopening Alhambra Valley Road at this time.Drivers are encouraged to use the routes on the map above as alternate routes for Alhambra Valley Road. The closures were required due to mudslides and flooding concerns. The amount of rain received has saturated the soil which makes it more difficult to remove the mudslides and clean the roadways. 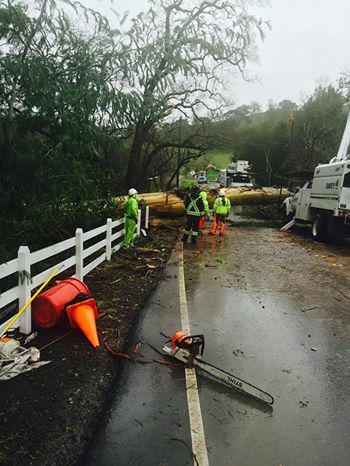 Alhambra Valley Road between Bear Creek Road and Castro Ranch Road is closed indefinitely. Signs and message boards will alert drivers of the closure. 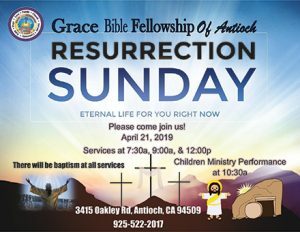 There is not an estimated timeframe for reopening Alhambra Valley Road at this time. Drivers are encouraged to use the routes on the map below as alternate routes for Alhambra Valley Road.